 Use the form opposite or call us on 01562 731313 to arrange a course date suitable for you. Digital Marketing is an essential and fundamental part of any organisation’s quest to attract more customers and increase revenue. However, this remains an elusive and widely misunderstood field, with ever changing rules and parameters and new channels and technologies constantly entering the scene. In addition there is so much more to digital marketing and website traffic building than search engines and optimising your ranking on them. 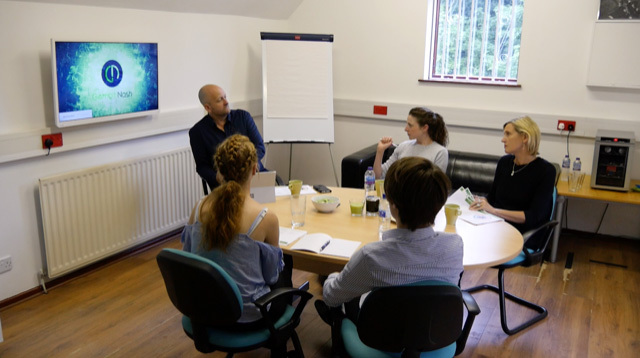 Gambit Nash’s Digital Marketing Training one day course is delivered from our offices in Belbroughton, West Midlands. On this course we will use your company’s digital marketing and website content, so that you are both learning and creating new and improved marketing collateral. In addition all course attendees will receive instruction on and exclusive on-going use of the Gambit Nash key word planning tool and Digital ROI model. 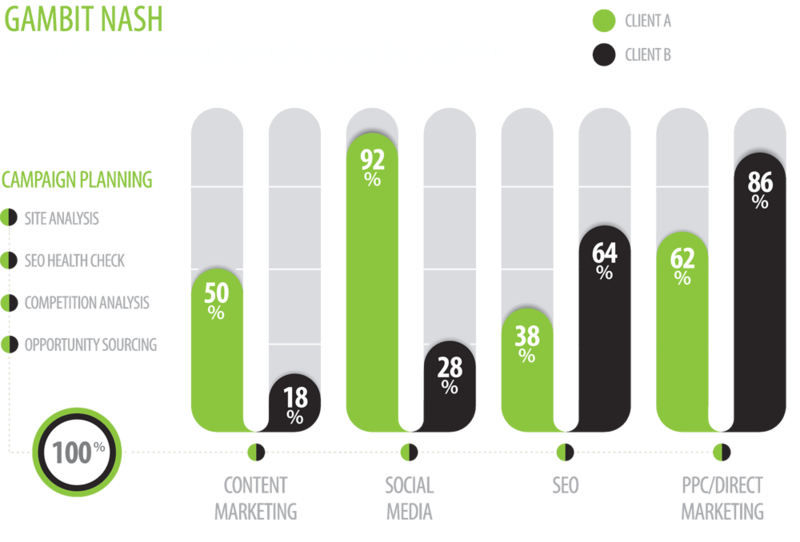 Gambit Nash have over 15 years experience in offering digital marketing solutions to a variety of clients in differing sectors. This experience has now allowed us to translate into an easy to understand 1 day digital marketing training course. Can courses be held at my own office? Yes of course, for groups of 3 or more we are more than happy to visit you. Contact us at the number above to discuss details and course requirements. Yes we provide hot drinks and cold snacks throughout the day. Nothing is essential we will provide course materials, however if you wish to bring your own laptop or note books then that’s Ok too. Yes we have ample parking available throughout the week. Our tool is currently a spread sheet based tool that will inform of your content based marketing and tell you your audience size. Who is this digital marketing training course aimed at? Our 1 day course is aimed at marketing managers, executives and business owners in small to medium sized organisations who are looking to increase brand awareness, website visitors and ultimately an increase in revenue. …has been in the field of digital marketing for over 15 years, establishing a worldwide reputation for safe and effective traffic building since before Google came on the scene. 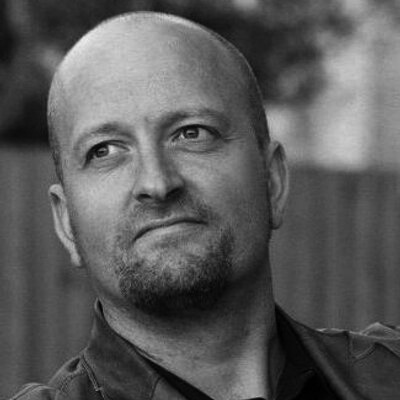 He is still learning every day as the landscape changes and has a long and successful history of delivering digital results across a wide range of industry sectors with organisations of all types and sizes. He leads the Gambit Nash digital marketing practice and his personal blog can be viewed at www.demondemon.com. Our 1 day Digital Marketing Training Course is ideally suited for businesses who are located in Kidderminster, Stourbridge, Birmingham, Bromsgrove, Redditch, Worcester, Dudley, Halesowen although for more than 3 training delegates we will travel to customer locations.